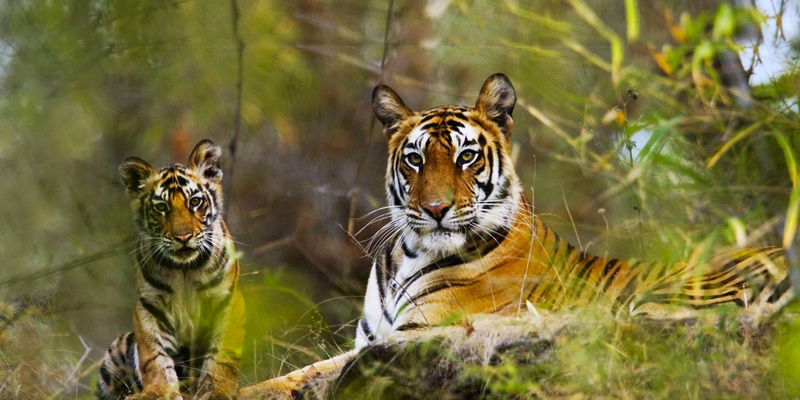 Bandhavgarh National Park is sure to leave you with two abiding memories of your days spent here – a nearly guaranteed sighting of the majestic Royal Bengal Tiger and the over 2000-year old fort of Bandhavgarh that stands proudly on a hill over 800m tall deep inside the forest. Many tiger watchers attest to a sighting of the elusive animal in the forests here due to the high density of tiger population in these dense jungles. 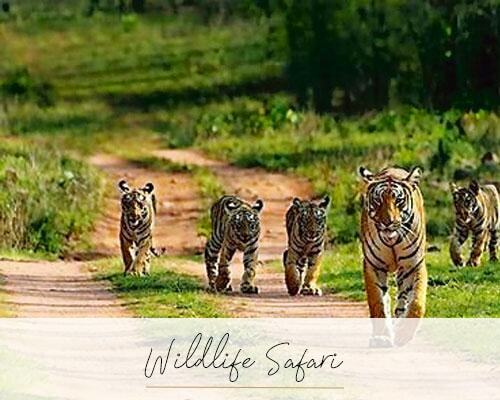 If a tiger sighting is the main attraction for a jungle safari, then Bandhavgarh is the best choice out of the six tiger reserves across Madhya Pradesh. These jungles are also famed to be the original home of the rare white tigers of Rewa. Local guides here love to narrate tales of royal shikarsor hunting expeditions that took place in these forests. Before being designated a national park, these forests were the hunting grounds of the Maharajas of Rewa. The exploits of the Maharajas, who killed over 100 tigers during their rule have become part of folklore. Apart from tigers, there is also a healthy leopard population. Jeep safaris are the most preferred option of exploring the forests. The entrance to the Bandhavgarh national park is through the small quaint village of Tala, around 32kms from the Umaria railway station. Alternately, it is a picturesque drive of around five and half hours across the Ken river from the Khajuraho airport.